Mentorship is a time-honored practice of developing an individual’s skills, talents and experience. It refers to a special relationship in which someone with more experience helps guide a less experienced individual. A mentor refers to someone who positively impacts a protégé by providing guidance, fostering insight and encouraging growth. Mentorships can be formal or informal and can be found in academia, the medical field and corporations. Often, people have many mentors and mentees in all different areas of life and throughout their lifespan. The power of the mentor-mentee relationship can yield extraordinary benefits to both people and the organization as a whole. Mentees get advice, encouragement and direction, which leads to increased productivity, improved self-confidence, professional development and overall increased enjoyment of their work life. Mentors often experience improved leadership skills, enhanced job satisfaction through an exposure to new ways of practice or a fresh view on a topic, and the personal satisfaction of significantly contributing to another person’s success. Organizations also reap critical indirect benefits from these relationships. They foster a supportive community, which improves recruitment, retention and commitment. With new members, they help provide a seamless and supportive induction. Given the increasing number of trainees within the field of neurocritical care, there is a growing need for mentorship within the society. Trainees who do not have dedicated neurocritical care units in their program or those with more unique pathways such as APPs and pharmacists require more formal mentorship programs to aid with career development. The NCS Trainee Section (formerly the Resident and Fellow Section) wanted to bring such a mentorship program to the field of neurocritical care to create a venue for trainees and junior attendings to obtain more accessible mentorship. Thus, in 2017, the first NCS formal mentorship program was created. The first edition connected established neurointensivists from around the world with medical trainees in residencies and fellowships who were interested in the field of neurocritical care. In the second edition, the applicant pool was expanded to include pharmacy, nursing, nurse practitioners and physician assistants. The 2019 program is starting earlier this year in hopes to have more projects presented at the 17th Annual Neurocritical Care Society Meeting in 2019 in Vancouver. The call for applications went out late October and the deadline to apply was Dec. 12, 2018. Matches will be made in early January with project proposals due in February. Besides creating a formal Mentorship Program through NCS, the Trainee Committee has tried to foster mentorship through other means. 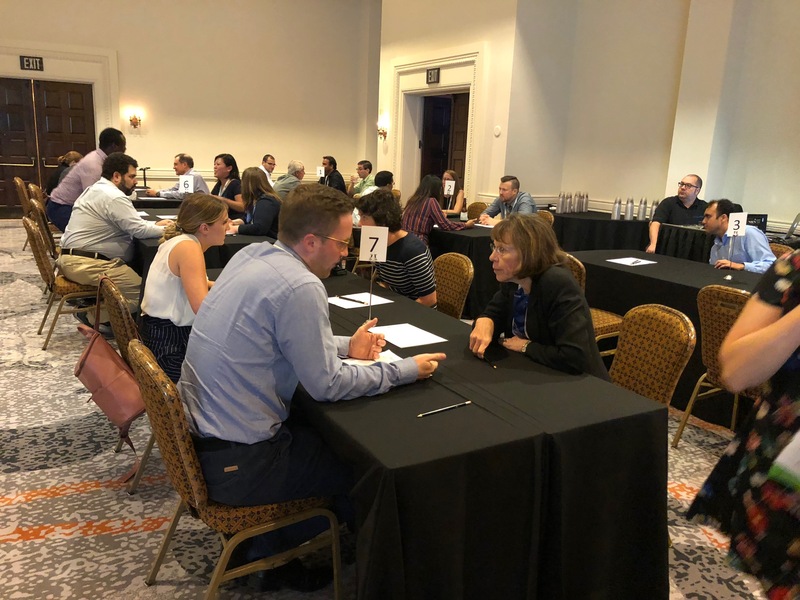 At the 16th Annual NCS Meeting, the Trainee Committee organized a Mentorship Mingle, which is a “speed dating” event between senior neurointensivists and junior attendings, residents or fellows. The event was well attended, with over 30 neurointenisivists volunteering their time to speak to around 40 participants. The goal of the event is to spark mentorship relationships and encourage future communication between participants. The first few years of a person’s career can set the trajectory for their entire career. Many trainees are in institutes that do not have dedicated neuro-intensive care units or have unique career trajectories, left without accessible guidance from senior healthcare providers within the neurocritical care field. The Trainee Committee created the mentorship program acknowledging the increasing need within the society and maximizing the benefits of being part of a supportive community. Using these connections to improve individual professional growth with the ultimate goal of advancing neurocritical care. The rewards for mentors, mentees as well as the organization as a whole are clear.